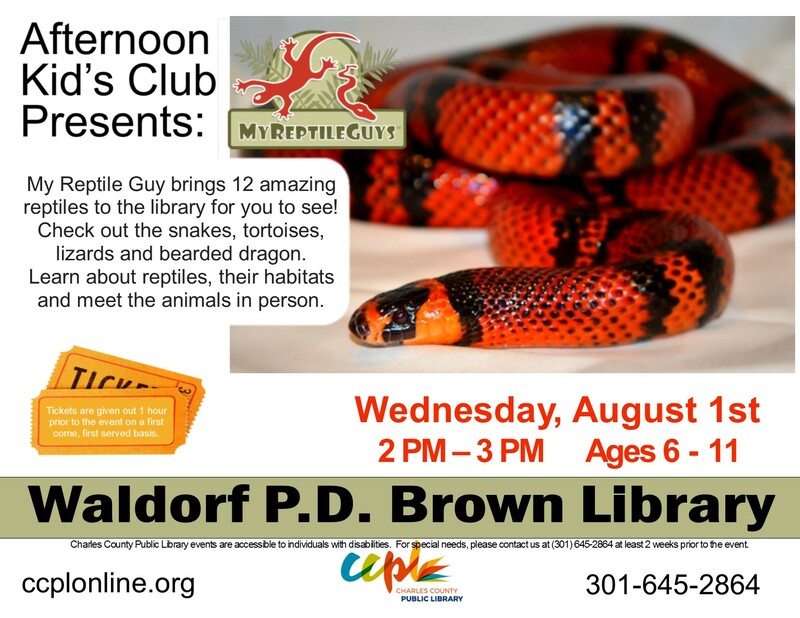 My Reptile Guy brings 12 amazing reptiles to the library for you to see! Check out the snakes, tortoises, lizards and bearded dragon. Learn about reptiles, their habitats and meet the animals in person.